MULTICULTURAL WORKSHOP FOR CE.STO, Genoa. Most of the people who attend this class are young (17-22) and come from West Africa. I am deeply moved when I see that they consider this workshop a special event worthy of wearing their fancy bazin. Someone goes to the barber shop beforehand for the occasion and arrives late, but the youngest and most ambitious members of the group show off gold chains, bling-bling, studded caps, headphones. Some of them have the same name so they introduce themselves with their surnames. Diabate, Touré, Camara, Traoré, Diallo… These surnames speak to me, they are great artists’ families, griots, famous musicians. I tell them, impressed, but they play it down, almost irritated. So from their words, as well as from their clothes, I understand that there’s a strong desire to break with tradition. “In Africa clothes are not really a second skin, they are rather a social skin (…) they are crucial in defining and redefining the individual, in declaring one’s status, in expressing one’s identity and differences (whether they are personal, social or cultural), in building up social, political and symbolic forms of hierarchy, of a generation and of gender.” African power dressing– G.Parodi da Passano. 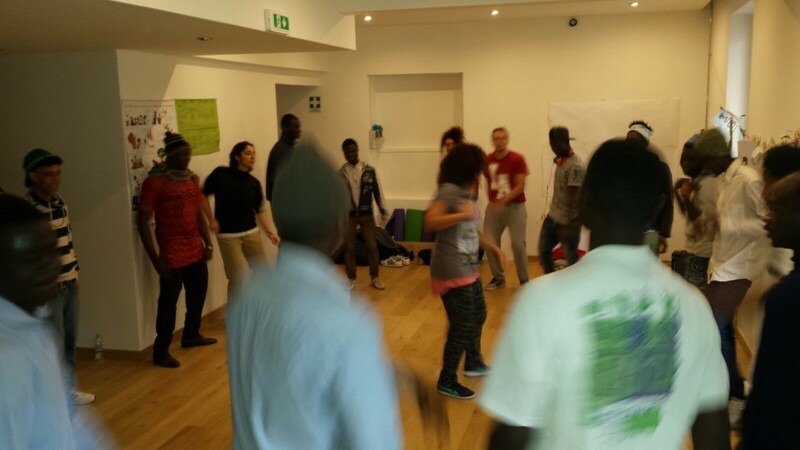 After doing some exercises and dancing, the workshop turns into an open mic. Many of them rap and want to “let their voice be heard”. It’s impressive how these boys take on pieces of clothing and an attitude typical of the Hip Hop culture making them their own, often improperly, unaware of their code or their history. The rapper is just a hero to them. Someone who escaped poverty and the discrimination of the ghetto in less than a generation, someone who achieved fame, success, wealth, women. A symbol for power, redemption. The chance to write their own future, a nemesis. An aspiration that’s so high it can’t compete with the tradition of the griots. After all, what is an MC (*master of cerimonies) if not a modern griot? An MC improvises, rhyming in time and rhythmically, playing with assonances and alliterations, often talking about the people around him/her, moving with the flow on the dj beat. A griot owns knowledge, oral tradition – a modern storyteller who is familiar with the most varied disciplines, from history, to cosmogony, genealogy, who often makes use of music, singing the praises of great personalities. These boys don’t realize they have gone so far that they’ve been going round in circles, and now they’re back to the start. 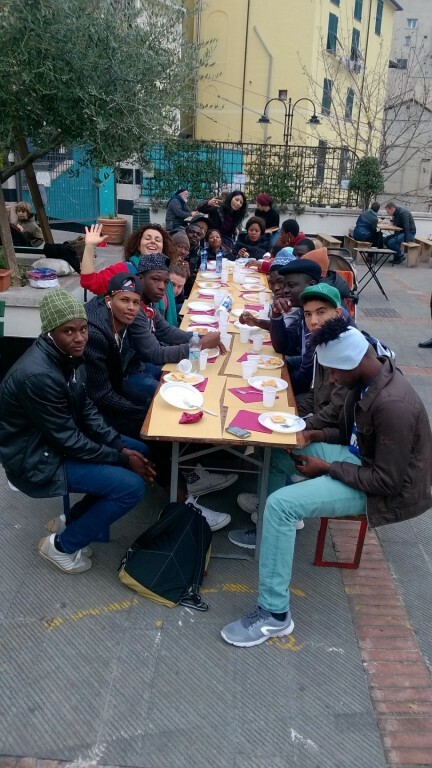 Later we have lunch, hosted by Ce.Sto and Giardini Luzzati, an association for social advancement, an agora in the heart of the old town, daily involved in bringing people together, entertainment activities, cultural events, street education and mediation of social conflicts. This moment is an integral part of my workshop. Filled with the energies that music and dance released before, boys and girls open up, they share, talk to each other and ask.